Lebua Thai Spa is inspired by Eastern and Western therapies which focus on spiritual, mental and physical harmony. Lebua Thai Spa is inspired from the surrounding on earth, where we discovered a true reverence for the healing arts. East meets west, the knowledge of world therapies is passed down from generation to generation, from mother to daughter, from father to son, and as such is deeply entwined in the way of life. Combining Asian rich knowledge and spirit of generosity with European techniques, Lebua Thai Spa offers each guest the ultimate luxuriously healing experience from around the world. The use of gentle rocking, thumb pressure and rhythmic compression helps the body to be prepared for the stretches so that the person feels “invited” to receive the stretch and defense reactions are not triggered. The session can last from one hour to three hours or more. The treatment style is slow, deliberate, gentle, non-invasive, and suitable for even the most fragile person. 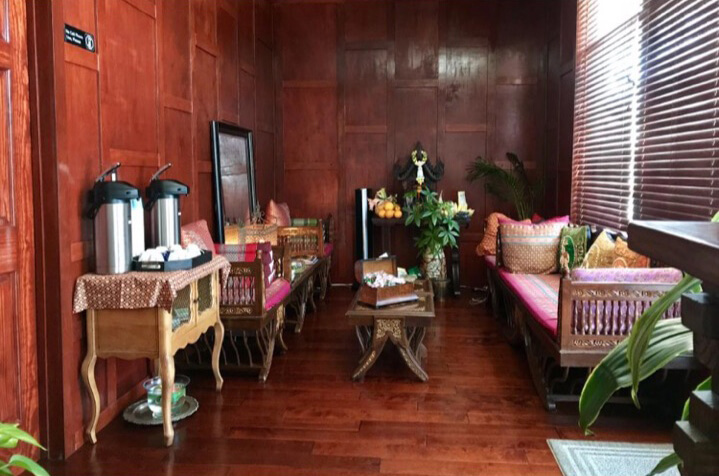 At Lebua Thai Spa we honor ancient healing traditions with a full complement of fitness, wellness, skin care services, body treatments and massage therapies.